Quintessentially British design and exquisite craftmanship combine with the vintage-inspired Emmy London collection. Crafted in 18 carat white gold, this 0.13ct diamond ring exudes understated luxury and style. 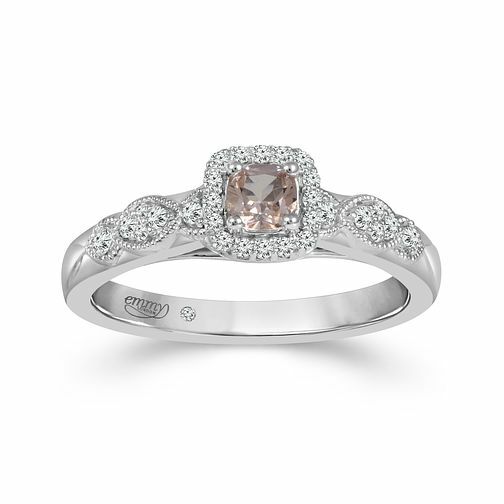 The feminine pink hue of the morganite central stone gives this ring a contemporary finish whilst still retaining it's elegance. Featuring I1 certified diamonds and an independent GSI certificate.